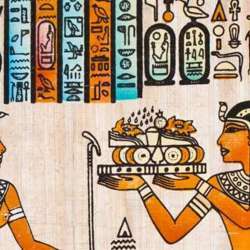 Let's meet on our weekend, chat, make new friends but before that, let's watch together a short documentary movie Protected content about The Pharaoh and The Ancient Egyptian Civilization then enjoying an Egyptian cuisine dinner. - The restaurant is already equipped with a large screen and a sound system. - The Restaurant has a Vegetarian Menu. - Pay as you order.